It's no secret Steph and I lose time daily as we trawl the delicious world of decor and interiors, forever bookmarking our musts and our lusts! 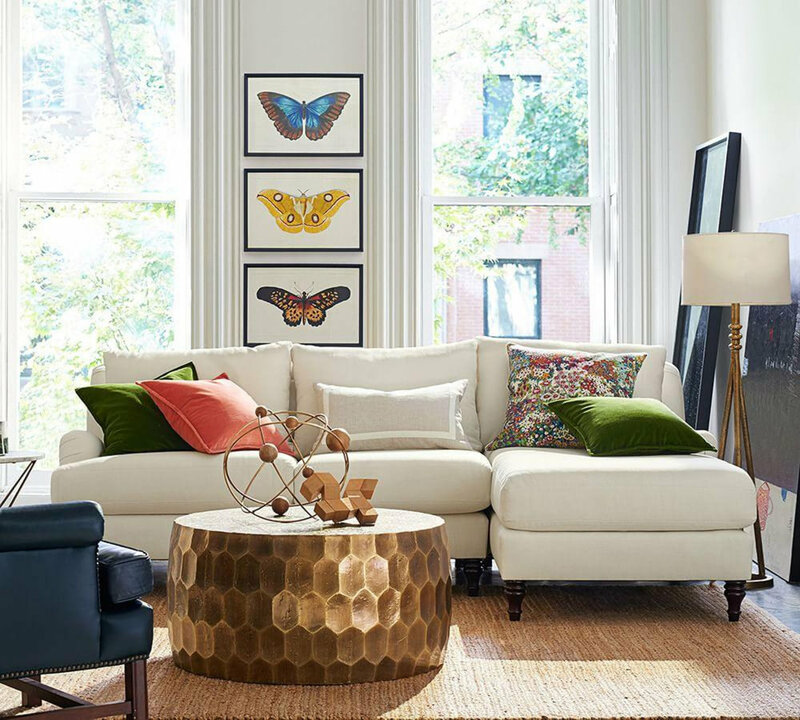 Every month we want to share the best of our new finds along with some of the carry-over coveted pieces we hope to one day add to our own homes. Happy (window) shopping! 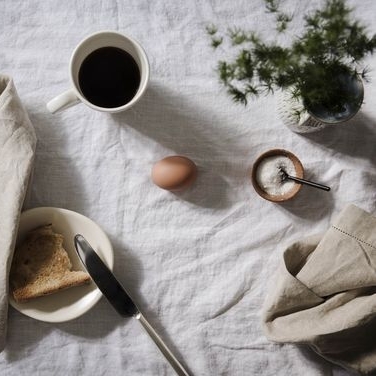 Nothing adds instant luxe more simply than linen. Textural, tactile and wonderfully unkempt, both Steph and my bedrooms are home to a growing collection of earthy toned bed linen. 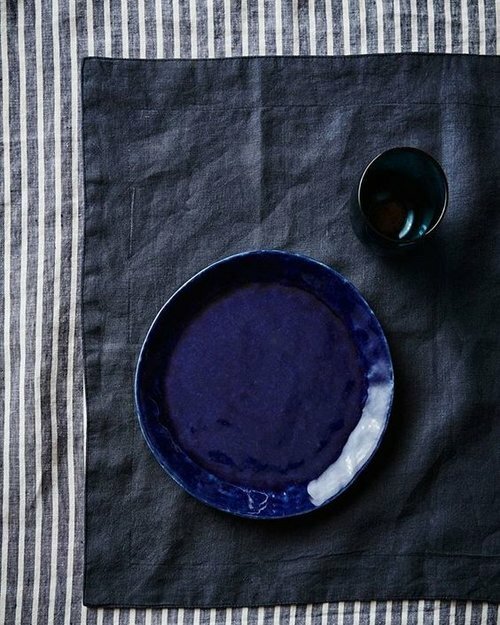 So it's time to bring some of this beauty to the dinner table - with the Cultiver Linen table cloth. Available in White, Natural, Charcoal Grey, Black ... and our pick, the Indigo Stripe. You can't go wrong mixing old and new into your home, some well chosen vintage pieces bring a much-needed sense of elegance, homeliness and character into your home. These antique pots from Garden Life in Sydney are a perfect way to introduce the current brass trend without being 'trendy'. I've coveted the exquisite Moth paintings from Australian visual artist Allyson Reynolds for many years - a bounty of colour and detail, each one is completely unique and a must for any collector. Whilst the large format canvases fetch a pretty penny (AU$8,900 a piece), you can now get your hands on a series of recently released Limited Edition prints of these beauties at just $425ea! 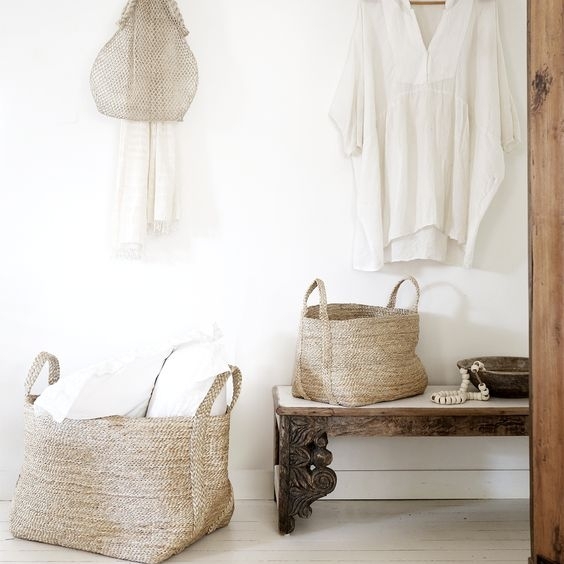 Come on, you can never have too many baskets! This versatile eco friendly basket is handmade by Fair Trade weavers in Bangladesh. The durable jute fibre makes it a sturdy storage tub but also pretty enough to be displayed in any bathroom, living room or bedroom! Back on the Brass trend for 2017, this Pottery Barn find is a true centrepiece that offers more than just a surface for housing your coffee mug (or wine glass!). Faceted, metallic and almost sculptural, we love the midcentury throwback of this brass beauty! We're always up for mixing high street finds in with our treasured pieces at home, and this one from Pottery Barn is high on the lust-list.